The past few years have seen a number of debates and developments in the medical scheme industry. When the regulators introduced the then new Medical Schemes Act some twenty years ago they left out two most critical components to support the survival of schemes. These were “compulsory membership” and “a risk equalisation funding model” which would ensure that the young and healthy lives participate in the system. Without these two elements there was bound to be rationalisation over time where schemes would need to merge in order to maintain a critical mass of members to ensure their long-term survival. Over the last ten years, mostly through mergers, the number of Open schemes has halved. Under the current economic climate it is becoming increasingly more difficult for schemes to attract younger members and thereby maintain a favourable risk profile. 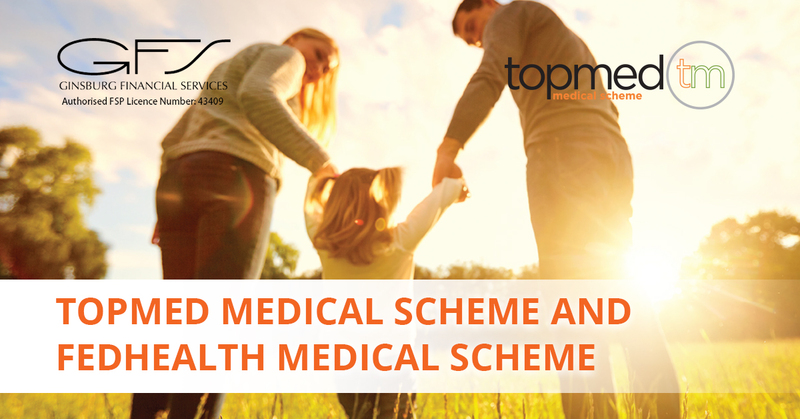 At Topmed we are proud of our position as one of the best funded schemes in the industry and also the scheme that has a reputation of really caring about its Members. Unfortunately, we are not immune to what is happening and so to ensure that we are looking after our Members we need to join forces with a partner who has similar values to ours. In combining forces with such a partner we can continue to provide our Members with the very best benefits at a sustainable favourable price. We have found a partner who we believe is a perfect fit for us. Your Trustees have previously shared that one of the strategic goals of the Board has been to actively review and pursue merger opportunities within the medical scheme industry, to ensure that the best interests of our Members are safe guarded at all times. Recognising that the challenges are going to continue, the Topmed Board has been engaging with the Board of Fedhealth in reviewing a potential merger between the two Schemes. Having conducted an actuarial analysis, as well as reviewing the benefits from such an amalgamation, we believe that it will be of benefit to our Members to merge the two Schemes. Fedhealth offers a wide range of benefit options, and we are confident that all of our Members’ healthcare needs will be catered for and that there will be greater assurance for long-term stability into the future. STRONGER RESERVES FOR SUSTAINABILITY The Topmed reserves will be transferred to Fedhealth. This will make the new Fedhealth one of the best funded schemes in the open-scheme market thereby ensuring that Fedhealth will be able to provide a high level of benefits to our Members on an ongoing basis, and do so at affordable prices. To assist you with this process, please review the attached document which provides an overview of the benefits of the amalgamation, the impact on Members, and the projected results of the amalgamation as at the end of 2019. Should you wish to review a more detailed document you may contact Client Services on 0860 00 2158 for further information. Your Trustees are unanimously of the opinion that the amalgamation with Fedhealth is in your best interests and we would encourage you to participate in this process, and vote in favour of the amalgamation, by completing the attached Ballot Form and returning it to the Scheme by no later than 4 February 2019. On behalf of the Board of Trustees I wish to thank you for your participation in this important process.